This entry was posted in Domestic and tagged Courgette, Jupiter-8. Bookmark the permalink. Both Will and I think this is a fantastic poem that describes so well that humble versatile vegetable, the courgette. Makes me want to go and cook one. Thank you both! Fried in garlic my favourite. Really liked this very assured poem – immortality for the humble vegetable. Really liked your comment Mary, thank you! A subtle & precise paean to a vegetable I’ve never cooked – now intend to. And a formidable photograph. Thanks for the comment Joan. 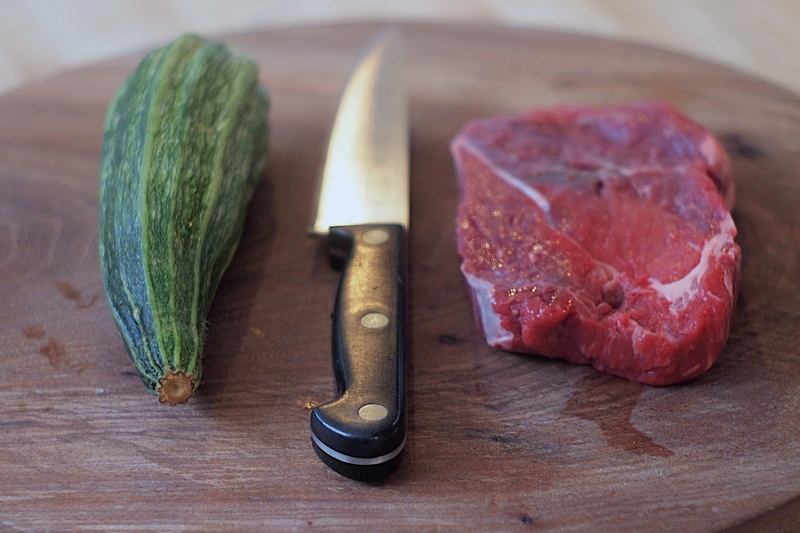 I recommend you find a recipe for ratatouille, but courgette fried as an accompaniment for steak is quite delicious.